I decided to have a rest day on Saturday, I ran late-ish on Friday evening and after a lie in and looking out the window to still raining I decided to go out shopping and make my way down to Pembrokeshire to see the family. I also decided to take my bike down as the weather man said it was going to be a glorious day on Sunday. I woke up early on Sunday, so I could beat the hottest part of the day on the bike and get some miles in on the quiet roads. The roads were completely quiet, not a sole was to be seen, apart from the over night camping surfers. It was a cracking ride and it was hard enough for me to build up a sweat but easy enough for me not to get completely shattered. It was only 22 miles as well so next time I need to look on how I can extend the route so I can get more saddle time. Although it was a beautiful day on Sunday, first thing it was still a little chilly so I had on underarmour, my short sleeved and long sleeved cycle jacket on but I was in cycle shorts. I also wore my light enhancement glasses from Lidl but they kept steaming up so if anyone has got any tips to stop your bike glasses steaming up please shout. My Oakleys dont but that's because my Lidl ones cost £8 and my Oakleys cost £140 so I expect them not to steam up! I expect them to race for me! 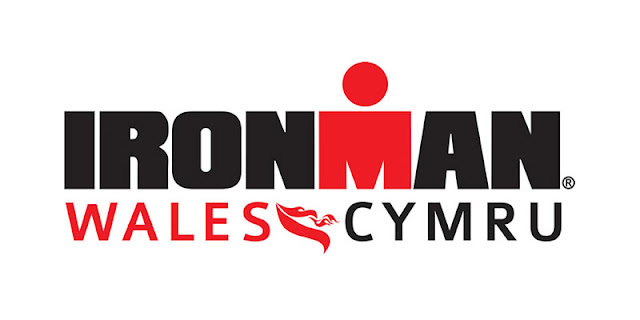 I understand that some of the route I completed is on the Ironman Wales route, but I did it back to front from what I have read so good luck to the people riding it later this year. As I've done some of the cycle route does that make me copper man or Aluminium man? I forgot to pack my bloody Garmin again so I have tracked the bike route on mapmybike so I dont have the full info from the ride which is disappointing. I think we are going down to Pembrokeshire again next week so I will have to remember the watch and remember to plot a bigger ride. Oh right I've got a android! I will give it a try? Is it called Map my run?